In this edition of our Green University or Green U series, we will focus on reusing the water waste from your non toilet water, ie shower, kitchen, washing machine, to irrigate your lawn and garden. In the horrible drought filled summer of 2012 and with threats of climate change(whether man made or not) we really do not know what to expect of our water supply for the next decade. Some may have way more than they need. Others who normally get a lot may have very little(for instance it has not rained here in central Florida for over a month in the fall of 2012-that's a bit peculiar). So it's best to be prepared. Let's discuss an oft overlooked home-based solution to water shortage and lawn and garden maintenance - Greywater Irrigation. What is Greywater? It is defined by Wikipedia as, "wastewater generated from domestic activities such as laundry, dishwashing, and bathing, which can be recycled on-site for uses such as landscape irrigation and constructed wetlands. Greywater differs from water from the toilets which is designated sewage or blackwater to indicate it contains human waste." The average daily use of potable water by humans in North America varies greatly due to factors such as the mean air temperature for the area but let's assume this figure is 150 gallons per day(gpd) on average. A large part of that water such as to wash the human, wash the dog, wash the dishes, wash the clothes is not consumed directly by the human alimentary canal and can therefore be recycled. Most of us send this water out in our sewer system(for which we are charged quite handsomely) and never think twice. What if we were to reuse this water right in the home? You'd be saving water and reduce your water bill significantly. Greywater Irrigation systems can help you do this at your home. 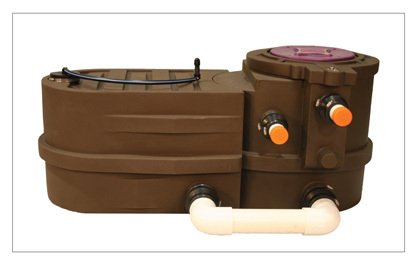 We carry the Flotender line of Greywater Irrigation systems. Flotender is American made in the Pacific NW. 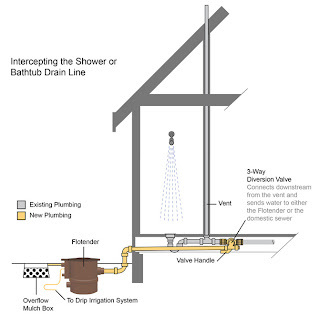 The Greywater Irrigation system collects the non human waste greywater, filters it, and pumps it out to your lawn and garden for immediate irrigation. It saves you greatly on waste waters that would normally be thrust into the municipal sewer system. -Micro-irrigation heads to dispense the water to the lawn or plants...The Flotender Greywater Filter is compatible with virtually every drip irrigation system on the market including sub-surface drip irrigation. 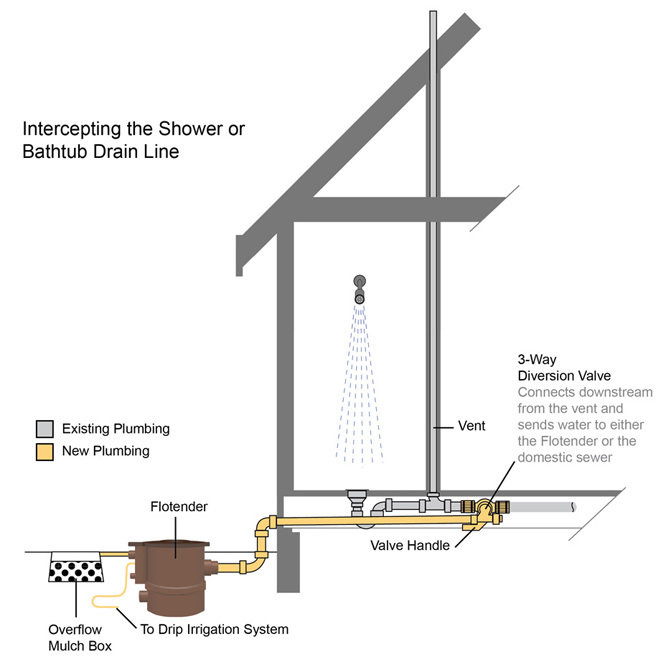 It is recommended that you have a licensed plumber make the modifications and install the modifications for the greywater stub-out in your home. Once the greywater stub-out has been installed the Flotender System and drip irrigation can be installed easily by a homeowner or landscape contractor. There are many sizes of Greywater systems available from Flotender from the smallest residential job to a rather large commercial job. Feel free to buzz us and we can help you size your system. The Conserv-A-Store Green University or GreenU series is our attempt to teach you a bit about how going Green can be a regular part of life and usually will not cost you more,in fact can cost you less when a 5 year return on investment is considered. We welcome any suggestions on a Green U topic you would like us to investigate and blog about.